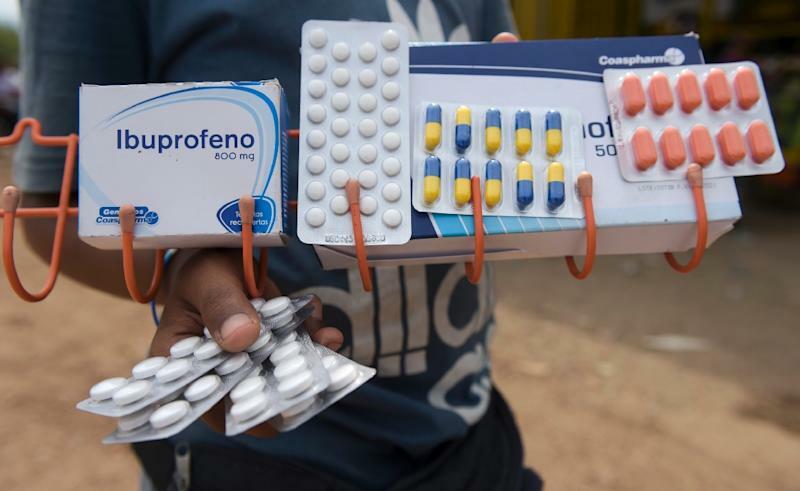 Cúcuta (Colombia) (AFP) - With the HIV virus killing him, Giovanni Plaza fled Venezuela and was able in neighboring Colombia to receive desperately needed anti-retroviral medicine for free. Some of his compatriots have not been as lucky -- reduced to buying smuggled drugs of dubious quality. "I was dying in Venezuela for the lack of proper food or medication, of anti-retrovirals" to combat HIV, Plaza told AFP. He has been fighting the virus for five years. "Thank God I'm here, on my feet," the 24-year-old smiled, wearing a baseball cap and a faded T-shirt. He survives by begging, but considers himself fortunate compared to those who have no choice but to rely on street "pharmacies." For them, he feels "a lot of sadness, and rage." At a nearby stall, Jose Alvarez offers pain remedies and sexual stimulants. That "is what sells best," he said, insisting that his supplies come from wholesalers. The former graphic designer, self-defense instructor and guard arrived in Cucuta two months ago. Most of the vendors are from Venezuela. 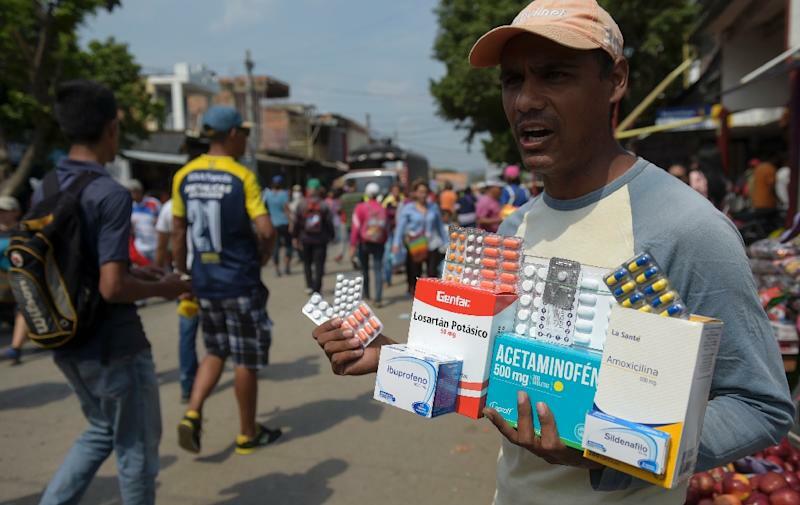 "There are a lot of people in need who have suffered for want of medicines," said Alvarez, a native of Valencia, west of Caracas. "Over there," said the 26-year-old housewife, "you find nothing in the pharmacies -- or else at exorbitant prices." But the "cure" can sometimes be worse than the disease. Counterfeit or adulterated drugs can provoke cardiac problems, lesions of the liver or kidneys, pulmonary embolisms -- even death -- according to Colombia's National Food and Drug Surveillance Institute. "There are mafias dedicated to (selling) fake drugs," former Colombian health minister Alejandro Gaviria (2012-18), told AFP. "There is no quality control." Gaviria said AIDS and cancer patients do not get the complete array of medications they need from street vendors, meaning "they will have no effect." In the face of the shortages, many Venezuelans are counting on the tons of humanitarian aid that arrived Thursday from the United States at the request of opposition leader Juan Guaido, who at this point has been recognized as the country's interim leader by more than 40 countries. 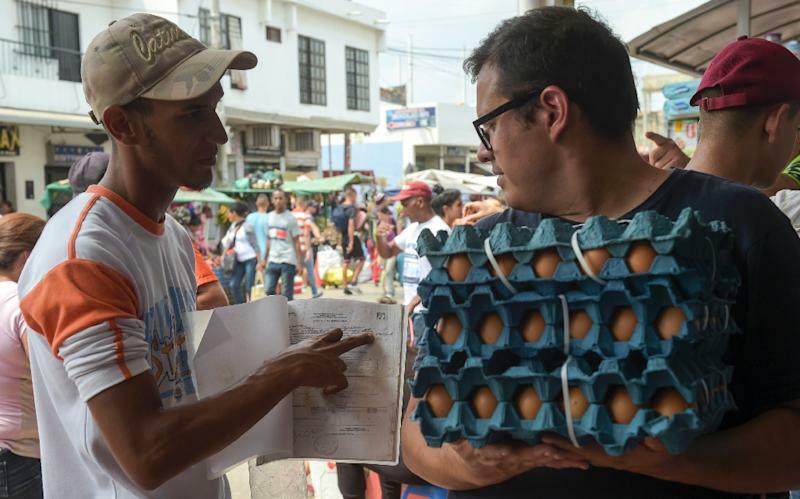 But President Nicolas Maduro warned that he would prevent the supplies stacking up in Cucuta from entering the country -- seeing them as a first step toward an American military intervention. For Giovanni Plaza, standing on the bridge holding a certificate attesting to his HIV status, Maduro's stance is infuriating. "Let them send this humanitarian aid, which every Venezuelan needs!" he said.